As the outdoor sector's trade body rebrands again, Omar Oakes asks its new chief executive about his plans and how things are different. This week marks the Outdoor Media Centre’s reincarnation as Outsmart. It has been a turbulent year for the out-of-home advertising trade body. In January, JCDecaux, the UK’s biggest outdoor media owner, withdrew its membership. The OMC had split with its chief executive, Mike Baker, and hired Mark Craze to review its remit just three months previously. 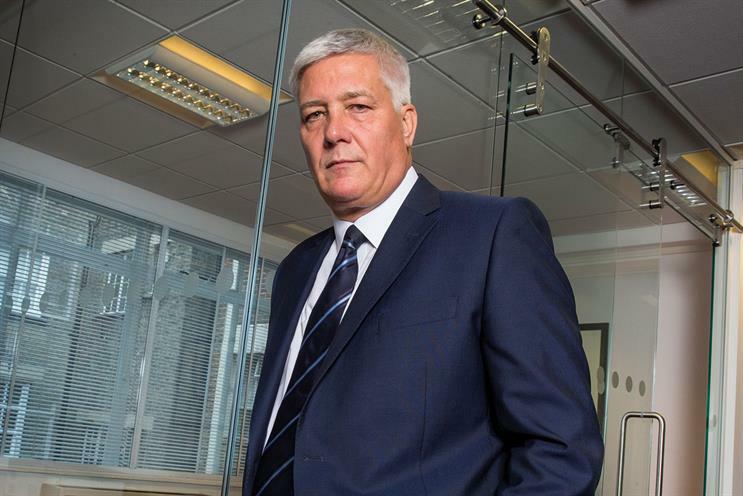 Outsmart is being led by Baker’s replacement, Alan Brydon, who was appointed in February. Brydon says Outsmart’s agenda is to position the outdoor sector as a "must have" on every agency’s media plan. The "smart" bit will come from "informing, educating and inspiring people" in relation to the possibilities of out-of-home. "We need to work in terms of effectiveness," Brydon continues. "How do clients know it’s going to work? Collaboration is vitally important and that means working with the specialists. We have already enabled that through the IPA Outdoor Group. "We want to spell out the huge creative potential that can be unleashed from digital out-of-home and make sure the creative community is aware of the opportunities." But have we not heard this before? The OMC itself was a rebrand, superseding the Outdoor Advertising Association in January 2011. But Brydon insists that, even after only four years, consumer behaviour has changed significantly and the body needs to respond. "It is a fact, shown by research, that consumer behaviour through technology is bringing clients to outdoor media," he explains. "Compare that to issues faced by newspapers and TV, and online issues about ad-blockers. "That same consumer behaviour is doing nothing but enhancing out-of-home. There is no fragmentation. More people are out and about more often. We think that is very fertile ground." Behind the scenes, Craze, who is Outsmart’s chairman, has been conducting a review of the sector. The results of the effectiveness project will be published in January 2016 and inform Outsmart’s strategic direction. But perhaps the most fundamental change is the planned growth of staff. Last month, Outsmart appointed Katie Ingram, the former group agency sales director at Exterion Media, as its first strategy planning director. MEC’s Jo Scully has also joined as the assistant planning director. Brydon believes the OMC was spending too much money on "running exhibitions of great ideas": "You can do that for one day, but not at the expense of having people working 47 weeks out of the year going to agencies and selling the medium." So, from what he describes as the OMC’s team of "two plus two halves", Outsmart will boast a team of ten (not including Craze) whose functions will include insight and effectiveness, strategy planning and PR. Motto: From the golfer Greg Norman: "Always move forward, never stand still, attack life"
Brydon himself has been on a one-man roadshow, meeting outdoor specialists, ISBA, the Advertising Association and some of the UK’s biggest brands to establish where the organisation can improve. The reception so far has been encouraging. Nick Mawditt, Talon’s director of insight and marketing, called the rebrand a bold and positive move but admitted the body faces a tough task as it is "playing catch-up". "They are not messing around," Mawditt says. "They are throwing resource and the right people at it. They are going from one person trying to drive through an agenda to a team of strategic players." Brydon has a wide range of experience to lean on as he confronts Outsmart’s challenges. The former head of investment at Havas Media Group UK has also worked at the London Evening Standard, a venture capitalist, Abbott Media Vickers BBDO and MEC. Paul Frampton, the group managing director at Havas Media Group UK, describes Brydon as a "top guy": "He’s connected, caring and committed. There was a huge vacuum when Al left but,vfortunately, he’s never too far from one of our agency dos." Caring and committed are certainly two traits that come across during Campaign’s interview, but there is a sense of apprehension too. This is particularly apparent when Brydon is asked about JCDecaux – one company that he has yet to talk to formally. "We have been laying the foundations," Brydon says. "We have given JCDecaux no reason to rejoin yet. I hope we get the opportunity to explain to them what we are doing and why it is beneficial. "But their absence hasn’t hindered us from doing anything, financial or otherwise. The other members have stepped up and are acting in a hugely single-minded way." Brydon is adamant that this rebrand is just the first step, with Outsmart’s strategy and focus to be clarified when the effectiveness study is complete. But whether this shift can really revive the long-term relevance of a trade body that does not represent the market’s biggest player remains in question.